iOS 12 lets you avoid the temptations of your beautiful screen. If you’re running the iOS 12 beta, you may have taken a peek at Screen Time, tried to work it out, then given up and gone elsewhere to try out some other of the update’s awesome new features. I know I did. But even in its currently-confusing state, Screen Time — Apple’s new feature for monitoring and limiting how you spend time on your iPhone and iPad — is pretty neat. Today we’ll avoid the tricky parts and take a look at setting limits for individual apps. 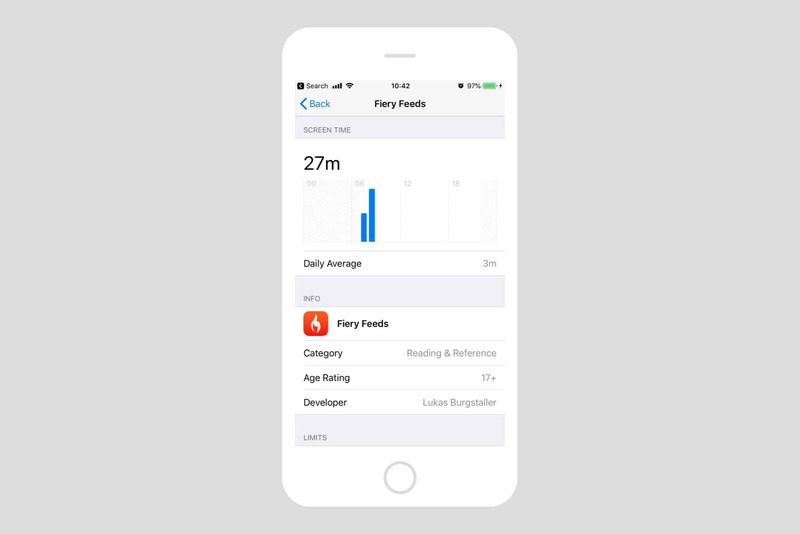 Screen Time monitors how much time you spend using each individual app on your devices, and shows the data to you in handy tables. You can browse by app category, and even see how long you’ve spent on individual websites in Safari. 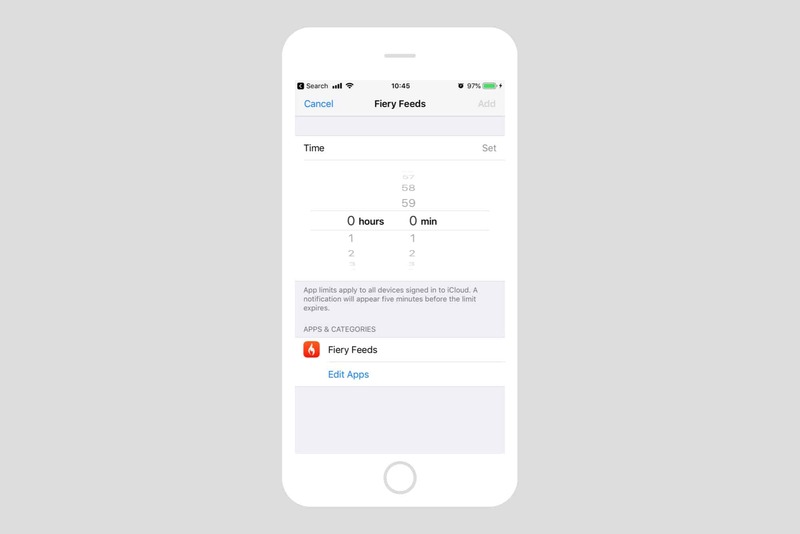 Then, if you don’t like what you see, you can set limits on the time allowed in those apps, or you can do the opposite: restricting the entire device for periods of Down Time, and then allowing certain apps to “punch through” this restriction. 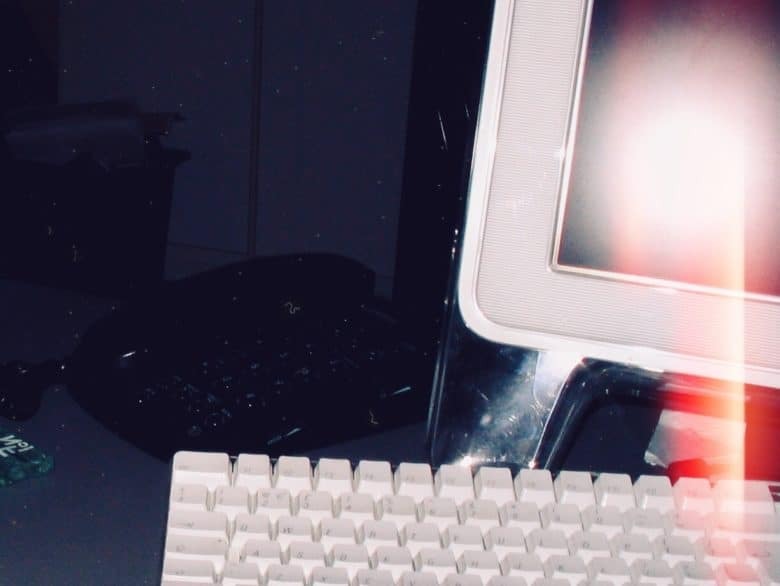 Thus, you could allow only your writing app of choice to functions during the mornings, removing the temptation to stray onto addictive sites like Cult of Mac. There’s more. 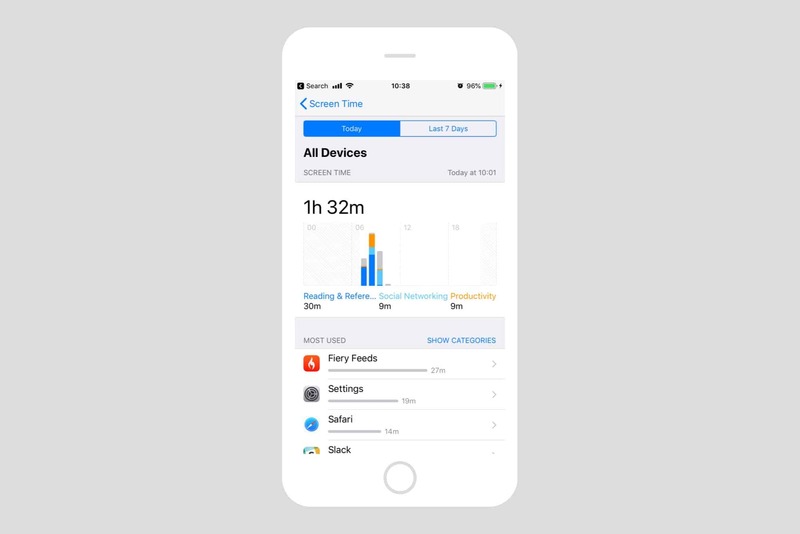 Screen Time aggregates usage data from all your devices, and the limits apply to all iOS devices connected to your account. You can even spy on your kids’ usage, and remotely set limits for them. It’s great, but right now Screen Time hard to use. The app categories are too broad, making them useless for setting limits. For instance, if I limit Entertainment apps, then I limit not just Netflix, but also all the apps I use to make music. Conversely, the Always Allowed section is too detailed. You can choose to have certain apps always allowed, even during scheduled Downtime. But the list includes everything, even Safari content blockers. Do you want to block your blocker? Probably not, but I don’t want to have to think about this feature at such a low level. What is useful, even in this early beta, are individual app limits. Individual app limits are just what they sound like. You can pick any app, and set a daily timer which only lets you use it for that specified number of minutes. The timer resets at midnight, and you can of course switch it off at any time. I like it because it adds just a little extra friction to, say, Instagram, so you don’t check it again, even when you already looked at it five minutes ago. Each app has a detailed breakdown of when and for how long you use it. I use Fiery Feeds a lot more than this, but the counter reset with the latest iOS 12 beta update. If I want to limit how much I use the app, I just tap Add Limit at the bottom of the screen, and use the standard iOS time picker to set the limit. You can also tap Customize Days, and then set individual limits for all the days of the week. Set your daily limit here.